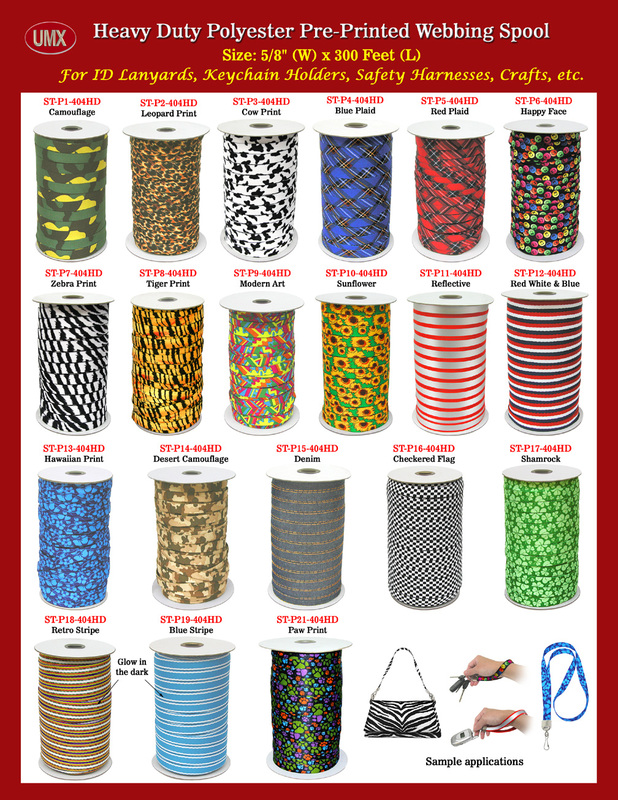 The 5/8" cool and unique designed pattern printed or woven pattern straps are great for making crafts, lanyards, dog leash, handbag or purse straps. We keep all pattern printed, woven pattern and glow in the dark straps in stock can be shipped immediately. The pattern straps are sold by the foot or by spool. Only pay a small amount of money, you can create, design and make your own style of crafts with a variety of hardware selection available. Custom printed message or logo on top of the pattern printed straps or woven straps are available too. Call for detail! You are viewing Lanyards > Making > Cool and Unique Pattern Printed / Woven Pattern Strap For Craft, Lanyard, Dog Leash, Purse and handbag Strap Making.